Daily Debate: What was Link’s Biggest Takeaway from His Time on Koholint Island? 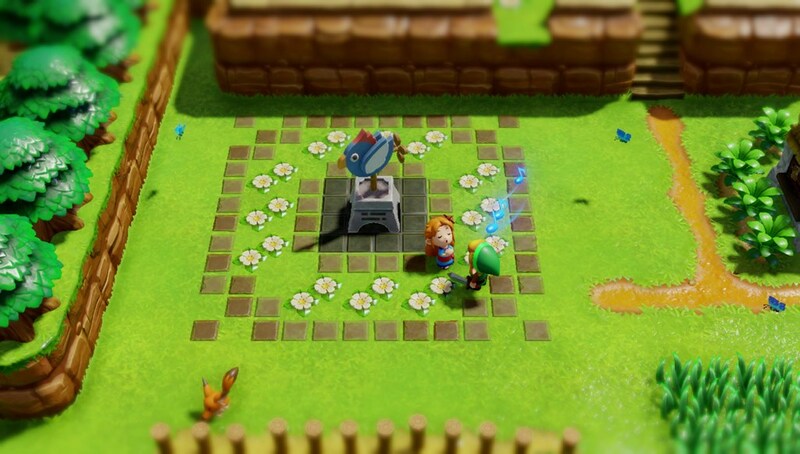 WARNING: This Daily Debate contains SPOILERS for Link’s Awakening. By the end of this year, we will all have our hands on what’s now one of the most anticipated Nintendo games in 2019: a Link’s Awakening remake for the Switch. Aside from the continued arguments in regards to the art style, a lot of fans agree that this remake was a long time coming. One of the biggest takeaways from this 25+ year Zelda title is the story. For those who don’t know, Link’s Awakening continues the story of Link from A Link to the Past, where he washes up ashore on the mysterious Koholint Island after a shipwreck at sea. Throughout Link’s entire journey on the island, we discover that waking the gigantic whale-shaped Wind Fish from a big egg will stop Nightmare, but at the cost of Koholint’s inhabitants. Link saves the day once again, but the citizens of the island pay the ultimate price. These are people with aspirations and dreams, hopes and goals, with personalities that you can’t believe are just some part of a giant mythical creature’s dreamscape. You have to imagine Link’s mindset after going through an experience like that. What do you think Link’s biggest takeaway is from his time on Koholint Island? Was there anything that still resonated with Link after this adventure? Let us know in the comments below!